When Samantha Stosur crashed out of Wimbledon in the second round to Arantxa Rus of the Netherlands this week, it ended Australia’s representation at the prestigious tennis event. It’s the fourth time that the country has had nobody to cheer for in the third round of a Grand Slam event, and each of these times has come in the past eight years. It’s not surprising that people in the game in Australia are worried. Stosur dismissed talk of crisis, but admitted that work needed to be done. “Of course it can be better. I’m sure I can speak for all the other players when I say we wish we had better tournaments,” she added. But while Stosur at least survived the first round, no Australian man did. Bernard Tomic, Lleyton Hewitt, Matt Ebden and Marinko Matosevic all lost their opening matches. 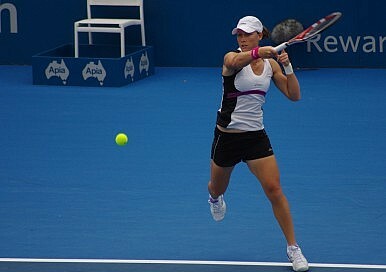 In total, of the four men and five women who went to London, Stosur was the only one to win a match. American legend John McEnroe has joined the debate, but told the Aussies not to panic. There were other opinions too. Paul McNamee, a former doubles champions, said that he wasn’t surprised at the failure. “We used to stand tall at Wimbledon. It’s the worst day I've ever known, I guess, in tennis history in living memory. It was a very, very sad day. Unfortunately I think this day has been coming for a while. Triple Wimbledon champion John Newcombe is also calling for action, but acknowledged that it won’t be easy. Australia may have provided some of Wimbledon’s best moments over the years, but it faces stiff competition these days. That comes from the growing number of nations that are serious about the game, as well as the other sports at home who are competitors for young talent. “Tennis is one of the biggest international sports,” Newcombe, now 68, said according to AAP. “There’s so many nations playing it and, because there's so much money there, a lot of the best athletes from these countries choose from a young age to go into tennis.